Why wait to build?? Better than new 2017-build Lennar home in coveted Cypress Creek. 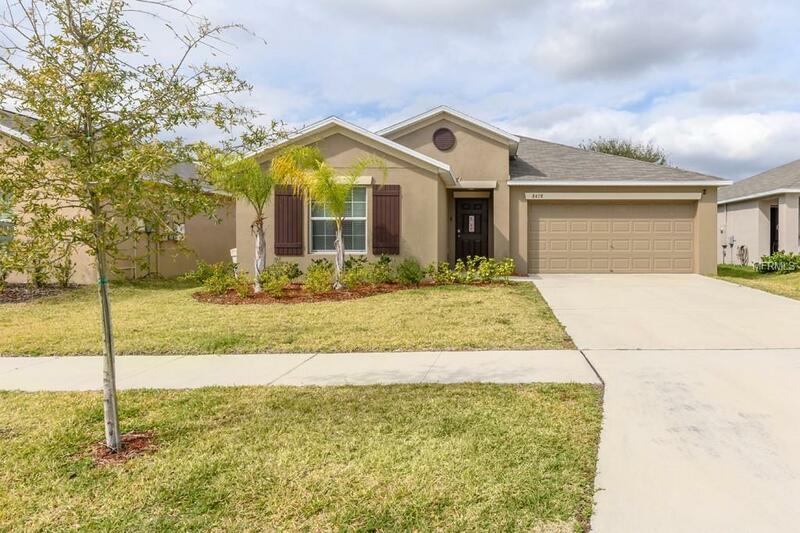 Upgraded from the standard and priced below new, this home is ready for a new owner. Tall ceiling heights, a split floorplan, and tons of storage. All appliances included, including washer and dryer. 2" white blinds, upgraded paint choices, and all fixtures/fans included. Turnkey and ready to go! Cypress Creek features a stunning pool, clubhouse and gym, dog park, tot park, and more. Imagine coming home to this picture perfect lifestyle!